Bilbao, Spain, once an industrial center now claims their fame as home of the Guggenheim Museum of Contemporary Art. My first impression: the building was an architectural marvel, made from titanium, limestone and glass, designed by American architect, Frank O. Gehry. 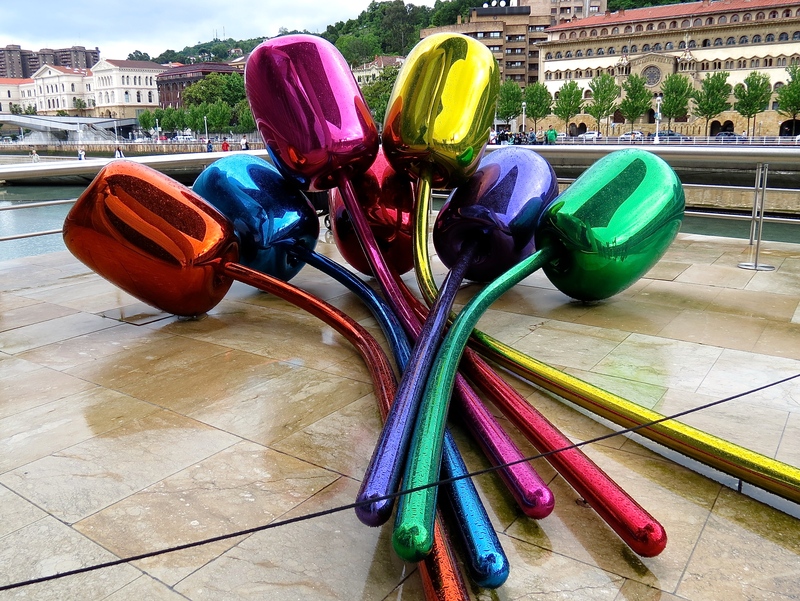 On the patio that follows the river, the Tulips Exhibit by Jeff Koons offered a lively and colorful display on a rainy day.